If you have completed a Workplace Skills Plan in which you’ve outlined your intended training programme, and have lodged it with the appropriate SETA, then you can claim for training implemented against that plan. Even if this particular course was not listed in the company’s plan, you can still motivate to your SETA why it was needed. All that is required is to present proof of attendance that your employee(s) attended the training sessions, a short summary of the course content and a signed register. 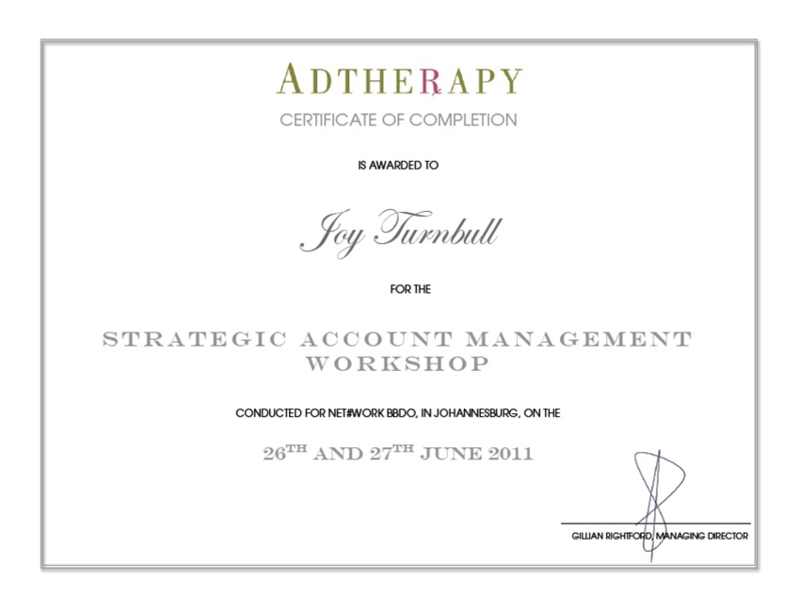 Adtherapy can issue a Certificate of Completion to delegates. Adtherapy is registered as a Level 4 Contributor to BEE. We help agencies and marketers work better together, for better results. BriefTherapy: Briefs are hard. We can help.